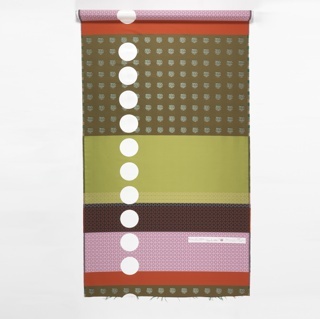 See more objects with the tag women's clothing, apparel fabric, triangles, customization, color transitions, diagonal lines. See more objects with the color darkgrey silver or see all the colors for this object. This is a Textile. It was collaborator: Junichi Arai. It is dated 1988 and we acquired it in 1989. 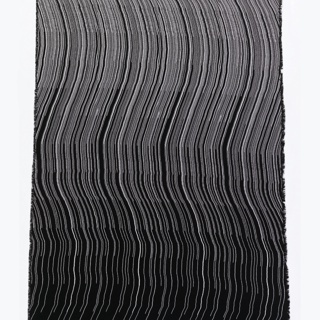 Its medium is warp: hand-spun silk (tsumugi) wrapped with reeled silk; weft: hand-spun silk (tsumugi) and its technique is tied-resist dyeing (warp ikat or kasuri) on plain weave. It is a part of the Textiles department. 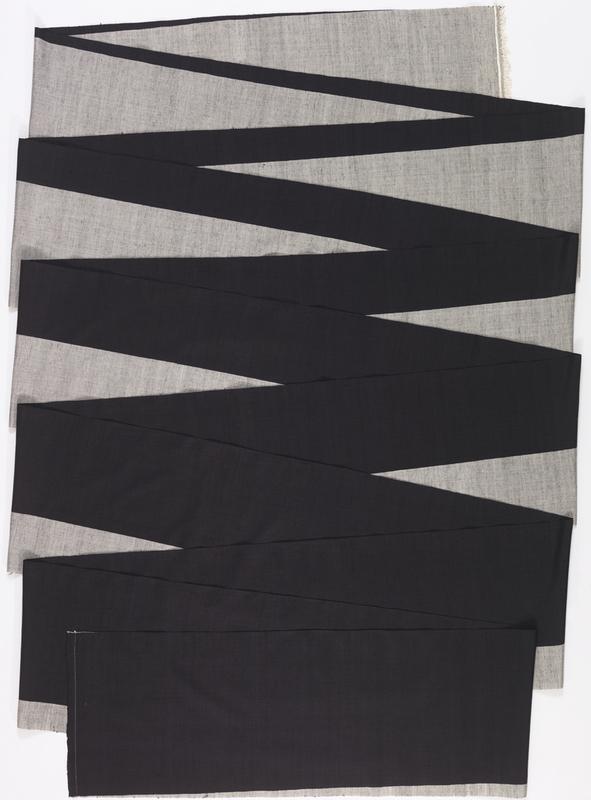 This extraordinary kimono length transitions over its forty-five foot span from gray at one end to black at the other, creating a striking diagonal composition. 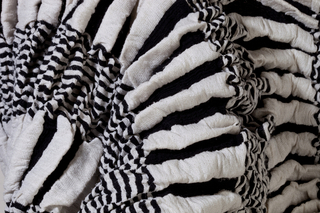 The flawless line of the diagonal and the evenness of the gray color, the result of crossing white warps with black wefts, is a testament to the skill of the dyer and weaver. 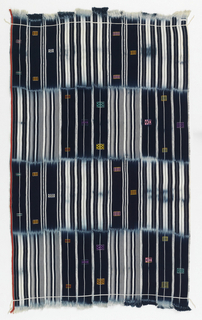 The design is created in the kasuri, or warp ikat, technique. White warps were tightly bound in one-inch intervals, with additional warps added in each interval as the binding progressed. 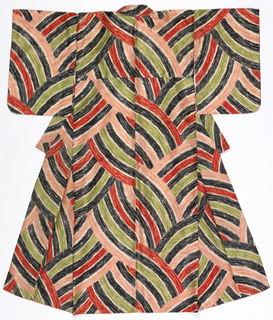 Japanese textile designer Junichi Arai, who was inspired by the modernism of a kimono from 1910, said, “I drew the design as if I were cutting a tree with a single stroke of an ax. It may be the longest single kasuri motif ever made.” The abstract pattern allows for many different layouts when cut for a kimono. This object was featured in our Object of the Day series in a post titled From Gray to Black. It is credited Gift of Jun Okuzawa, Representative of Yuki Tsumugi Producers Association.